You’re a young couple who is just starting on your life journey. You’re a couple whose kids are all grown up and now you finally have the time to focus on your own needs. You’re a mature couple who wants to continue doing things together well into your 60s, 70s and 80s. You’re together on this life journey: you’re a team; you support each other; you motivate each other to be the best you can be; you’re there for each other in tough times; you know it takes both of you to make things work. And now you’ve chosen to be together on your health and fitness journey! I would find no greater joy than to be there for you and see you flourish as a couple! Ready to build a new habit together! On your way to something great, together! *Through my membership with the Personal Training Collective, I have unlimited access to a functional nutritionist, an exercise physiologist, and a life coach. You can learn more about this organization here. **I’ve partnered with Michal Ofer, an exceptional nutritionist, and digestive gut health expert, to bring nutrition consulting as part of my service offering. The Nutrition Consulting Add-on is optional, but strongly recommended if you are looking to change your nutrition habits, and especially if you have a weight loss goal. You can learn more about Michal and her philosophy by visiting her website, and by reading her short bio below. Note: All of my packages already include all applicable taxes. As my beloved clients, you will each receive a birthday and Christmas gift, and other surprises (like home-baked goodies)! Michal is a nutritional consultant working with groups and individuals looking to improve their general well-being. Her work focuses on naturally and holistically healing the metabolic, systemic and repairing digestive damage associated with our modern lifestyle. 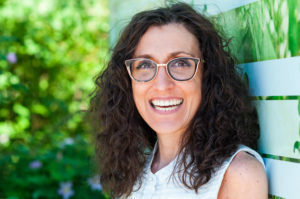 She has studied health and nutrition through multiple programs including the Institute of Functional Medicine, the University of Stanford, the University of Colorado and The Institute of Integrative Nutrition. Michal is a speaker, facilitator and leader of large and smaller groups looking to improve their wellness and optimize their digestion. When not counselling others or trying to keep up to date with the most current health and wellness research, Michal is an avid yogi and aspiring amateur cook, testing her newest food creations on brave volunteers. You can learn more about Michal and her philosophy by visiting her website. “Irina is fantastic! 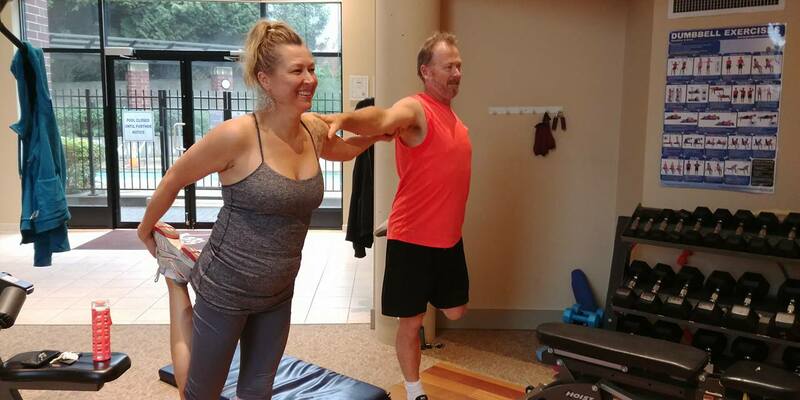 My fiance and I signed on with a couples package and do our workouts together – I love how Irina gets both of us to work out with similar exercises, but she still tailors them to our individual health concerns. She’s very encouraging and is able to keep us motivated without scare tactics.